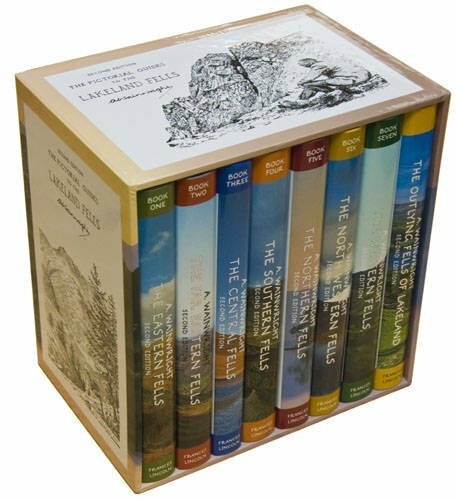 Pictorial Guide to the Lakeland Fells – 7 Vols. “Wainwright’s Walking Guides” – 3rd edition – two volumes now available. Click here. The name Alfred Wainwright, or “A. 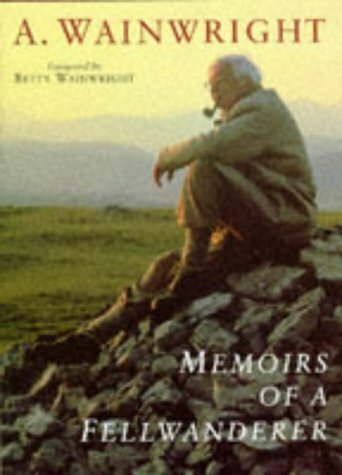 Wainwright” as he was known during his writing career, is now firmly embedded in the popular mind as associated with the Lake District mountains. Lake District walks could never be the same again after Wainwright. 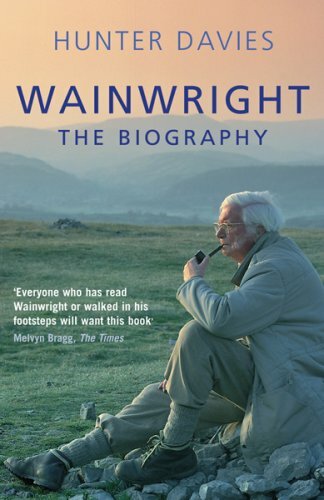 To “bag another Wainwright” is the great aspiration of many a walker, although Wainwright himself insisted that fell walking was not a competitive sport. Alfred Wainwright lived and worked in Kendal for most his life but his origins were elsewhere, in a very different environment. He was born into a working class family in the Lancashire mill town of Blackburn and experienced the difficult times of the 1920s and 30s. Being a bright lad, however, he worked hard at improving his position, taking night school classes and later correspondence courses to qualify as a local government accountant. This eventually enabled him in 1941 to obtain a position in the council office in Kendal, just where he had wanted to be since taking a holiday with a cousin walking in the Lake District – he was now hooked on Lakeland walks. He’d for many years been fond of taking long walks in the Pennine countryside nearer to his Blackburn home, the Darwen moors, Pendle Hill, the Ribble Valley and more. The book shown here relates to a long Pennine walk in 1938, three years before he moved to the Lake District. It was written at the time when he was only 31 but only published (without changes) half a century later. It was in 1948 that he developed the idea of mapping and drawing the routes of his Lakeland walks so as to compile them into printed volumes, publishing his first Pictorial Guide to the Lakeland Fells in 1955. 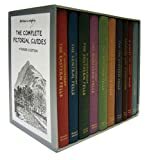 He never expected them to take off as they did, but by the time the last of the seven main guides was published in 1966 he was a household name and “Wainwright’s Guides” had become a must for holidaymakers planning their Lake District walking routes. The second edition of the Guides has been produced by Chris Jesty who had collaborated with Wainwright on projects during his later years. He personally checked on the ground every one of Wainwright’s original seven volumes Lake District walks, plus the Outlying Fells, to look for landscape changes and bring the content up to date. Footpaths have been updated, and useful information such as convenient parking places have been added. Sketch maps and diagrams have been corrected where necessary. Otherwise Wainwright’s original format has been retained. substantial discounts on the cover prices. 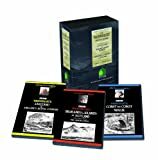 These are especially popular with people who remember with fondness the original issues and would like fresh copies as mementoes even though they’re now using the 2nd Revised editions for their actual walking expeditions. substantial discounts on the cover prices of the 50th Anniversary Editions. In addition to the main guides series Chris Jesty was for some years hard at work updating several other volumes of Wainwright walks, and not only in the Lake District. 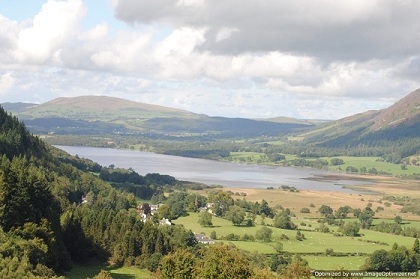 The “Outlying Fells” …. The Coast to Coast book also …. In addition to Wainwright’s guides to the fells he also put together volumes of the sketches he had drawn during his years of Lakeland walks and which had been used to illustrate the pictorial guides. These are still available, and by clicking on the covers below you’ll find that they’re now massively reduced in price on Amazon. Five volumes are shown below, the sixth cover picture being of the boxed set, an excellent gift for a lover of Lakeland if it’s not appropriate to go to the expense of a boxed set of the Guides. The Reader’s Edition – 10 vols; original text; 10% larger; cloth binding. 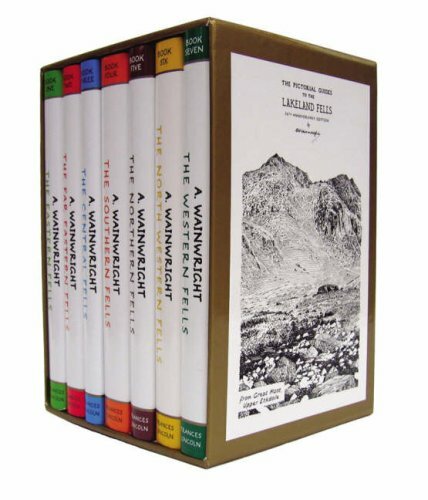 To order a Wainwright box set or to see further details click on a box. 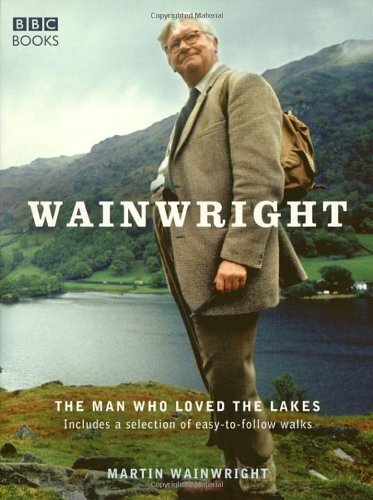 Although the Lakeland fells were without doubt the great love of his life Wainwright did not restrict himself to his Lake District walks, and throughout his later writing career he wrote much more widely than guides to walking in the Lake District. Click here for more Wainwright books.